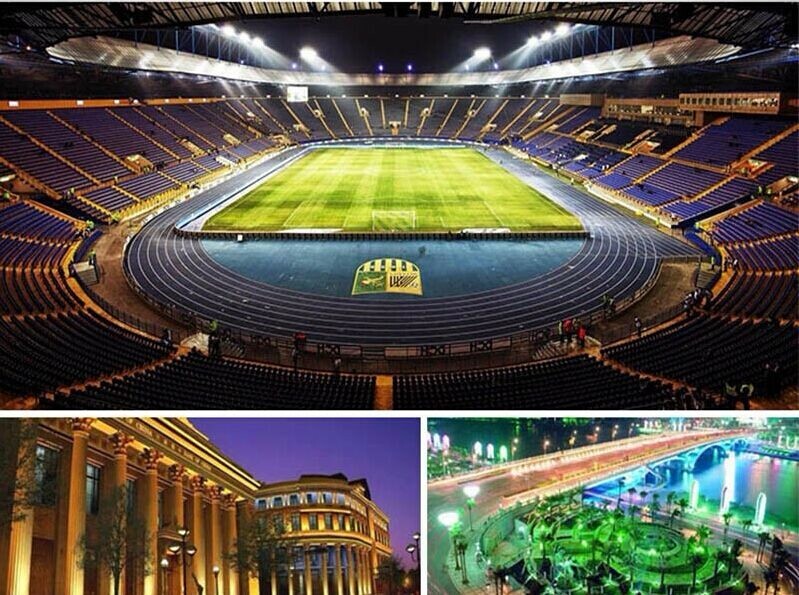 2.4G RGBW LED Flood lights are widely used in garden,villa, factory, gymnasium, boat yard, billboards, buildings, lawns, landscaping, offices, the site of light project and decorative lighting projects etc. 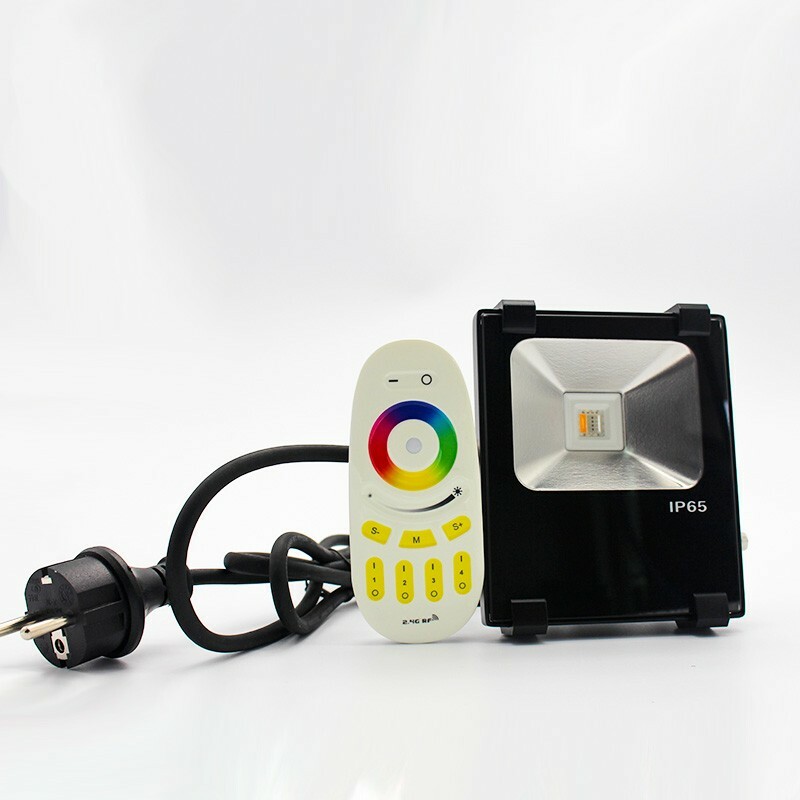 1) Bridgelux LED Chip: Our rgb dmx led flood light adapt high bright single chip as light source. High thermal semiconductor led chip, low luminous decay, pure light color & no ghosting. 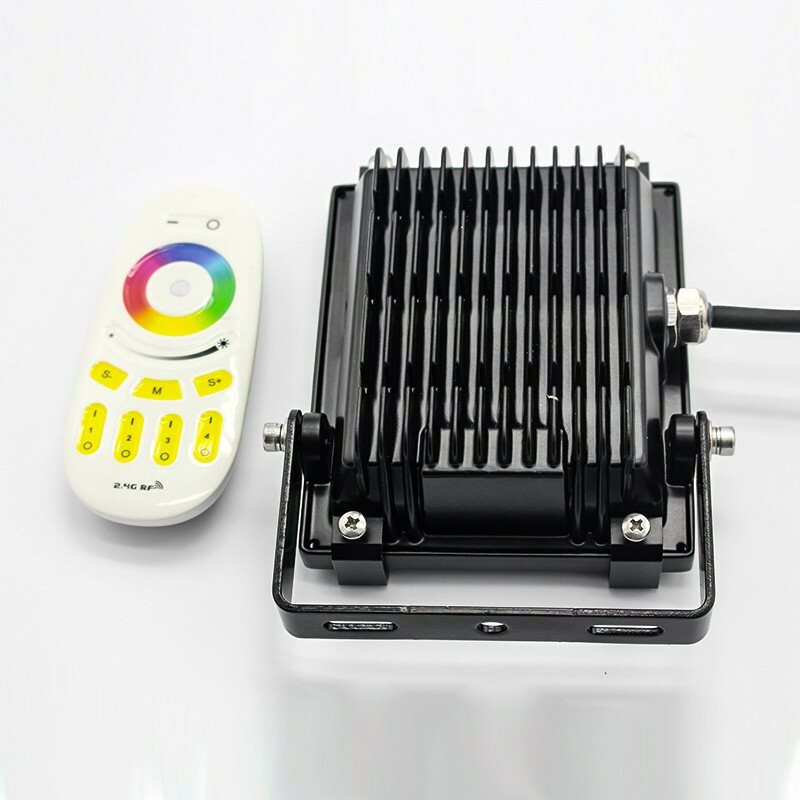 2) Good Heat Dissipation: The rgb dmx led flood light are with unique heat sink design, and perfect combination with the electrical boxes. 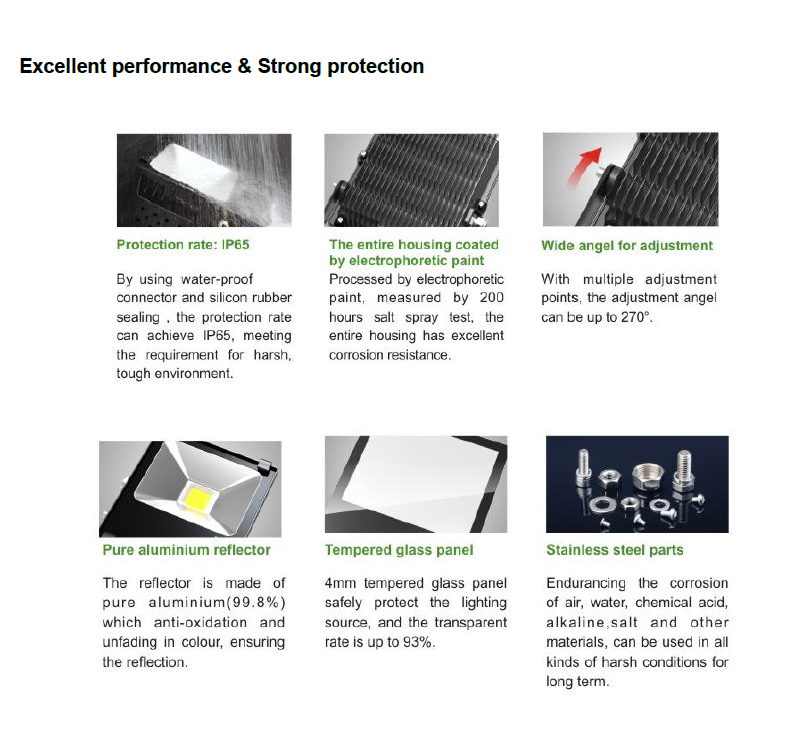 Thereby reducing the temperature of the lamp body, ensure the life of the light source and power supply. 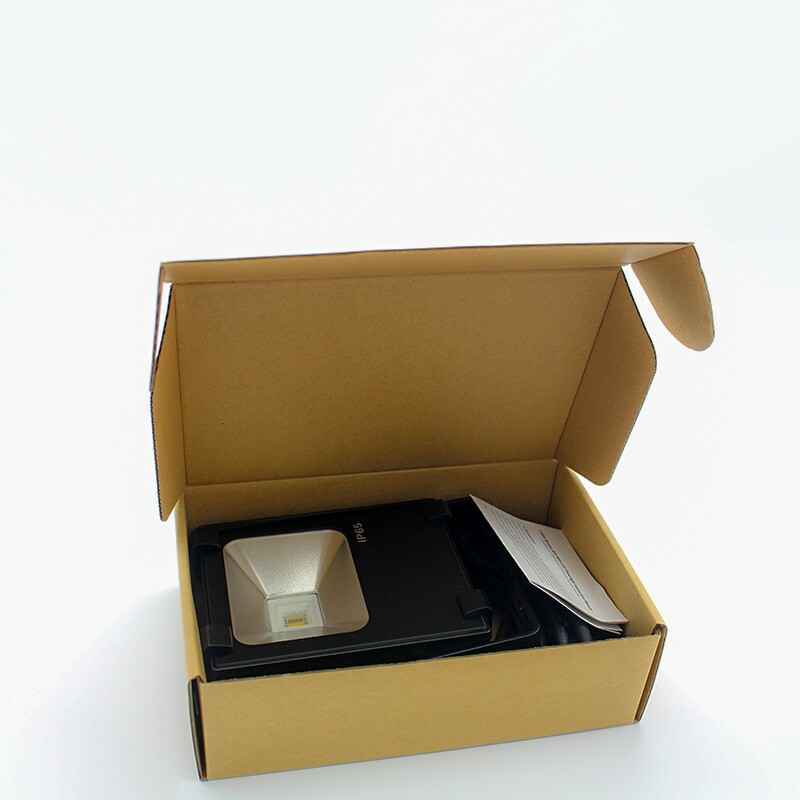 The design is for better heat dissipation. 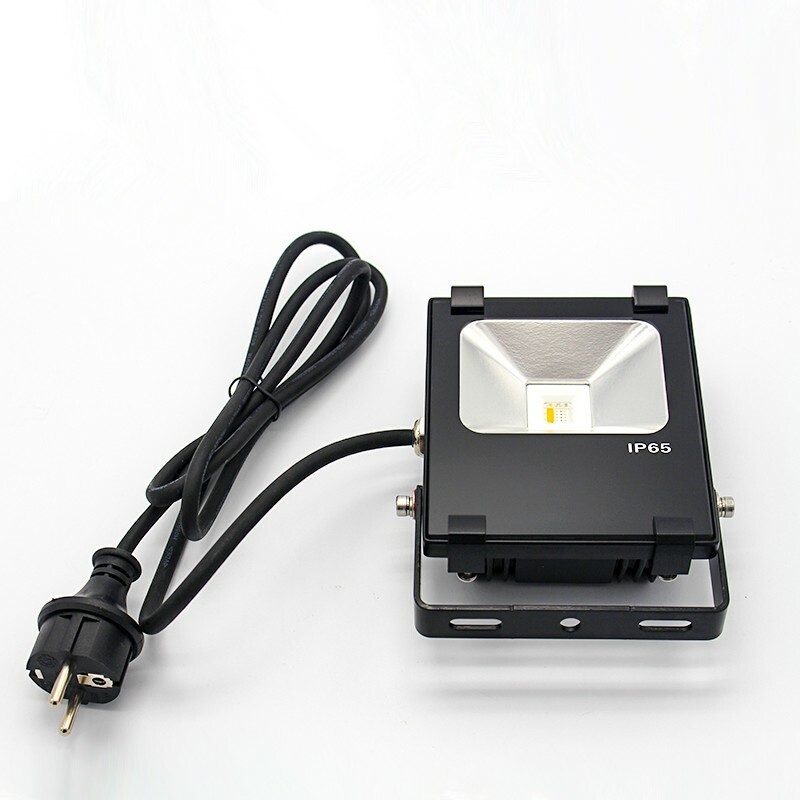 3) Oxidation Housing: The heat sink surface of rgb dmx led flood light is with special treatment, meet standard IP65 grade, good corrosion resistance, waterproof, dustproof performance. 4) Environmently Friendly: The rgb dmx led flood is ECO Friendly and without any pollution elements. 5) High CRI: The rgb dmx led flood light are good with more physical presentation. Variety of light colors is optional to meet the different needs of the environment. 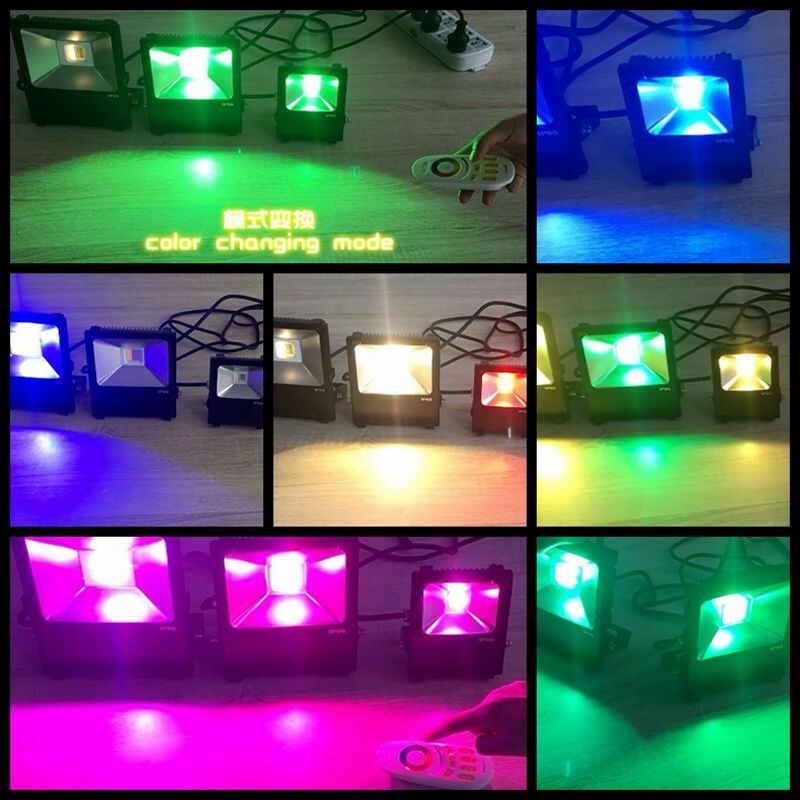 6) Good Decorative Effect: The rgb dmx led flood light are with special surface treatment, the appearance can choose a variety of colors. Simple installation, easy disassembly for a wide application. 7) Wide Voltage: The rgb dmx led flood light are with wide voltage (AC85V-265V) to overcome the demand generated by the ballast power grid & noise pollution. Besides, wide voltage can also meet many countries’ demand.